A few of the horses StarWest has sold over the years. Amador has shown Fourth Level with scores above 70% and is ready to show PSG with talent for more. Amador has elastic, uphill movement with a lot of ring presence. 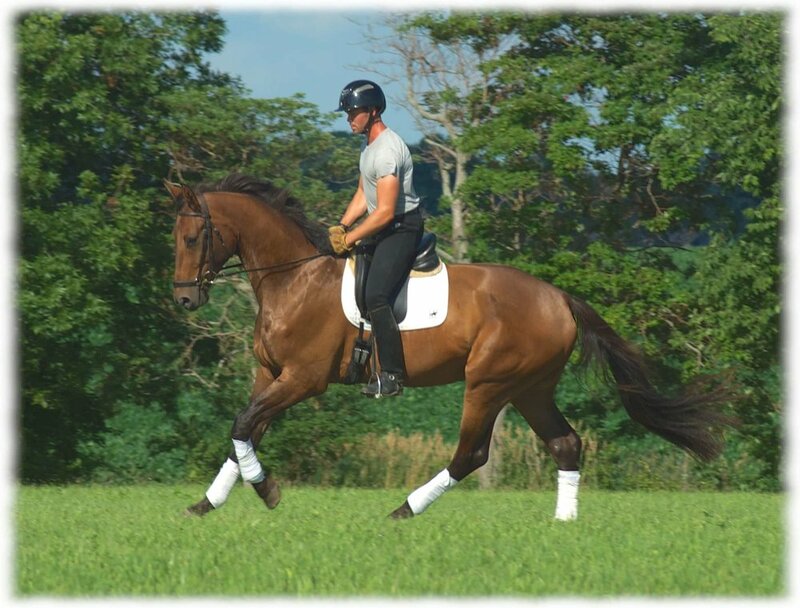 He would make an ideal Jr/Yr horse, especially well suited for NAJRC or NAYRC riders. Amador would also make a good horse for a competitive amateur. Wonderful temperament and very nice, easy to ride. Sound, healthy, no vices. Avenger JP aka "Alfie" is a lovely horse that has shown through Fourth level with his amateur owner. He has a strong show record starting with scores consistently over 70%. 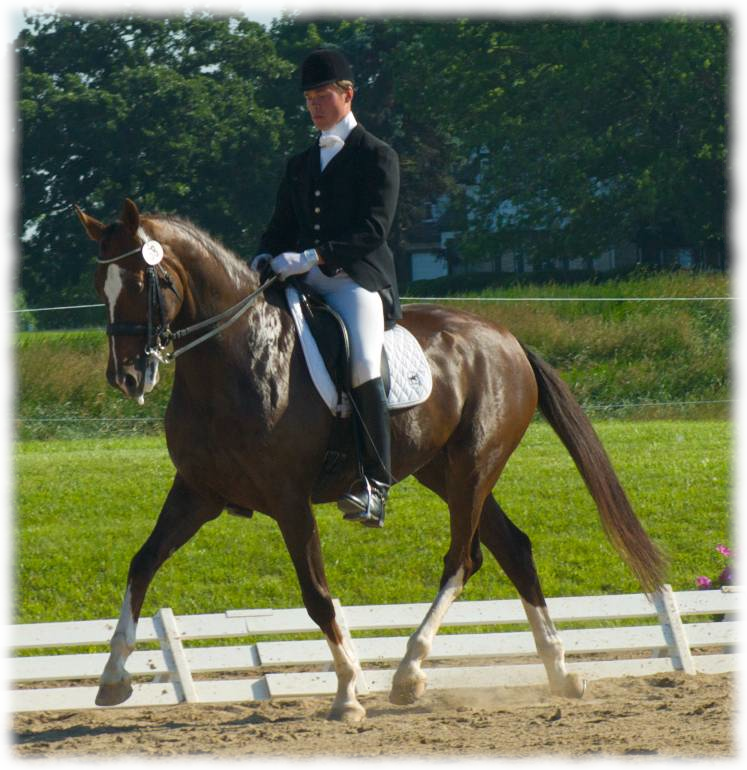 He has been developed by an amateur rider with professional help up the levels and has a fun, kind disposition. 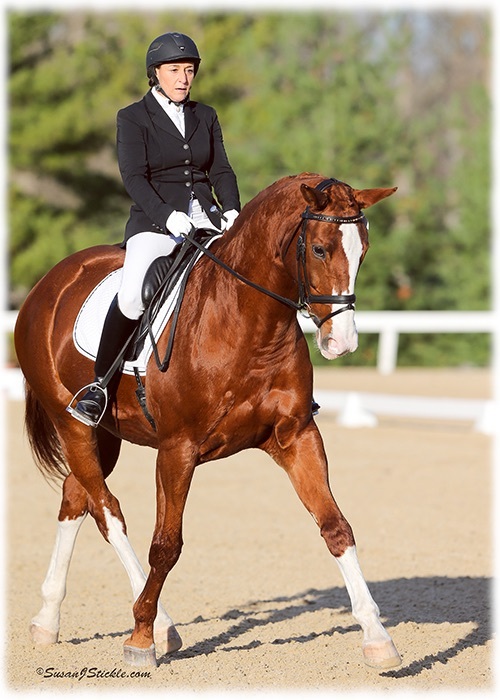 His size and rideability make him ideally suited for amateur and junior riders. He's easy to sit and easy on the bit. Baylyn is a very kind, brave, and beautiful mare. She has been shown Training Level (scores to 75%) and First Level (scores to 71%) and is schooling Second Level. "Baby" is well mannered on the ground and under saddle, good at shows, enjoys trail rides and field riding, cavaletti, low jumping, and being groomed. In addition to a professional education, she has also been ridden by amateur and junior riders. Dominick is a beautiful, kind, willing, and elegant gelding with naturally elastic, supple, and uphill movement. 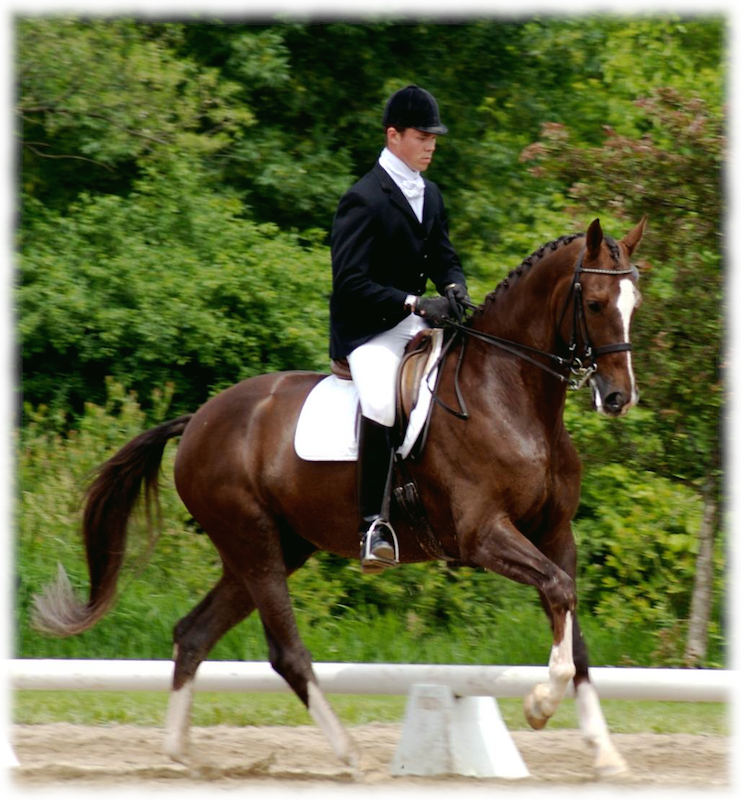 Dominick has attended one dressage show scoring in the mid–60s at Training Level his first time out. Sensible without being too dull Dominick will make a lovely horse to develop in sport for a professional or amateur rider. Enjoys hacking out. Direct from breeder. Eisenhower JP's show record at StarWest spanned from Training Level through Second Level. In that time he scored only once below 70% in his first time down centerline. Elo JP is a beautiful, kind 2009 KWPN gelding by Sir Sinclair. His elastic, light movement, sweet temperament and “10” rideability make him a true joy to train. Wonderful combination of forward thinking, absolutely willing, quiet, and very brave make him a young prospect suitable for Amateurs and Juniors as well as professional riders to develop. Elo attended his first show where he scored 76.5 in Materiale and 69 – 72% at Training Level. "ET" is a sweet, kind horse who is very rideable and willing to work. He has shown through First level and shows talent and ability to move up. He will make a junior or amateur rider very happy with his good looks, sweet temperament and high rideability. Direct from breeder. "Nitza" is a tremendously elegant mare with three good gaits and a naturally active hind leg. She has shows Second and Third Level with potential for more. Nitza is a forward thinking horse so would be best suited to a competent Amateur or Junior/Young Rider who enjoys a sensitive partner. Freezzia is available for purchase directly from her breeder. She’s recently started under saddle and is absolutely a joy to train, sensitive and sensible. Ghinger Ale is a kind, tolerant schoolmaster for an adult amateur to learn on. 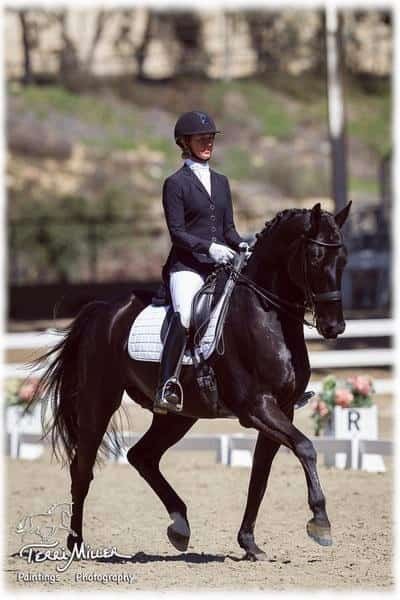 She has brought her current rider from First level through PSG and helped her rider earn her Bronze and Silver Medals. In 2015, she and her rider were USDF Region 4 Reserve Champions at Third Level and placed fourth in Fourth Level. She has scored up to 68% at PSG with her amateur rider. Qualified and finished fifth in the Third Level Freestyle AA in 2014 at the US Finals. Ghinger Ale is bombproof, totally reliable, and easy to handle both under saddle and on the ground. She's ready to bring her next rider up the levels. Goes in the snaffle or double. Rubinstar is a stunning dapple bay imported Hanoverian gelding. Showing PSG with scores to 70% (won high point FEI his first time out at PSG). Consistently earning 70%+ at every level from Training through PSG. Schooling Intermediare 1 and Grand Prix movements. Sensitive, forward thinking, and very willing. 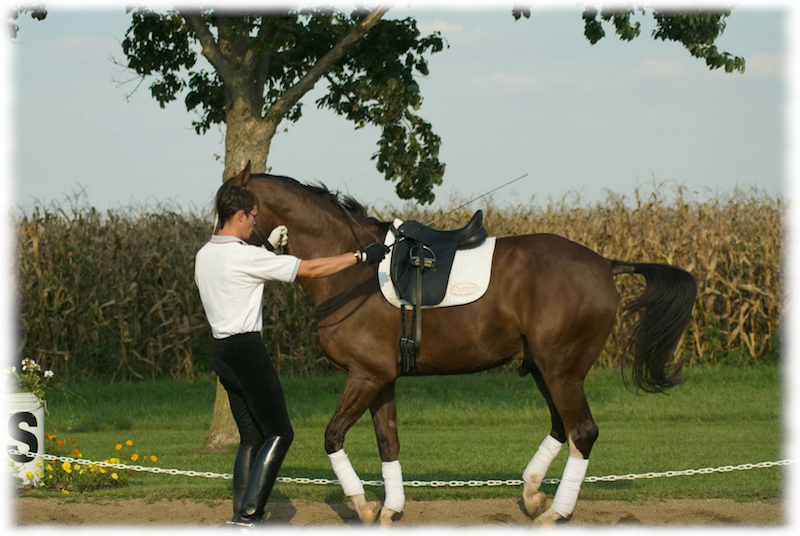 Suitable for ambitious professional, amateur, or JR/Yr looking for a highly competitive horse. Shown through Prix St. George by a Junior rider and helping to earn both her USDF Bronze and Silver medals with consistently high scores from Training Level through Prix St. George. Goes in snaffle, hacks out, turns out, sound, healthy. Recently, Tebaldo helped another adult amateur up the levels to earn her Bronze Medal. 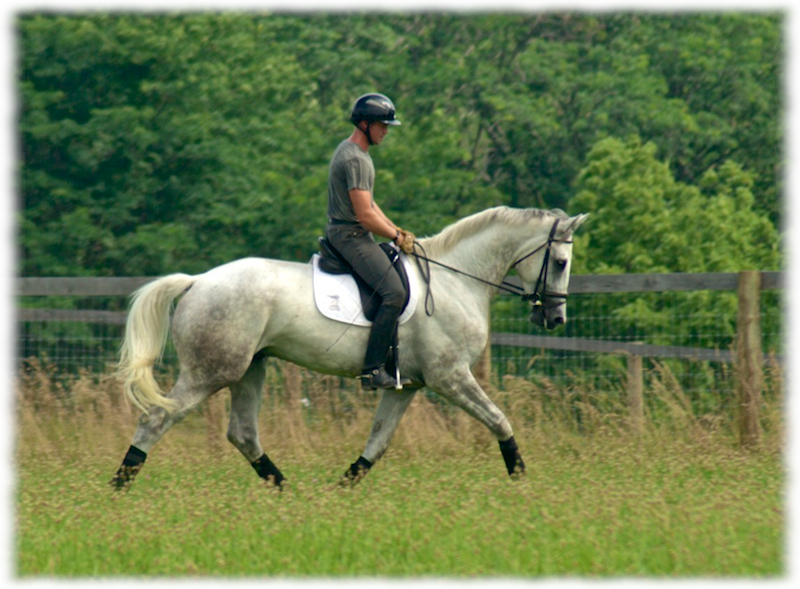 Tebaldo is a reliable, very safe, highly competitive schoolmaster who is ready to help educate his next rider.